On Tuesday, September 12th Spark Foundry partnered with UI schools Jahn, Nixon and Piccolo to host their first ever community impact day! Led by UI’s Associate Board Co-Vice President, Ashley Dobbins, this day focused on “Empowering Chicago’s Youth.” Just under 90 Spark employees dedicated their morning to renovating resource rooms, painting recess courts, and engaging with K-8th grade students in our Play With Potential recess program. 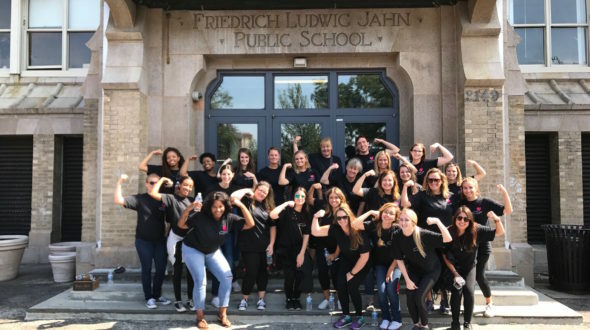 At Jahn Elementary, Spark volunteers were tasked with transforming an unused classroom to Jahn’s first STEM Resource Room. They kicked the morning off flexing their muscles by removing unnecessary equipment to the basement and re-painting the space a light blue for a modernized, calming feel. Throughout the morning, teams of 10 rotated between painting, reading to kindergarteners, and playing physically active games at recess. At Nixon, Team Spark completely transformed their outdoor recess space by painting various game courts and activities on the blacktop. This was a hugely impactful project as it creates immediate spaces for play as students enter the playground, and a much more organized structure for Recess Staff to manage. 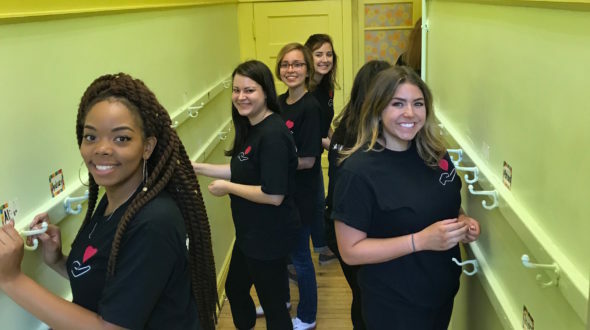 Lastly, Piccolo’s team helped renovate bathrooms with a fresh coat of paint, and uplifting quotes to inspire our next generation of leaders! Our biggest goal as an organization is to help those who have access to less, achieve more. Whether it’s with new paint, safe spaces to play, positive adult role models, and meaningful experiences, we’re here to help empower our youth to become community leaders. This work would not be as successful without companies like Spark Foundry who equally believe in the power of giving back, and support our vision for a unified Chicago. On behalf of Team UI, we are incredibly thankful for all the coordination and volunteering efforts of Ashley Dobbins, and Team’s Spark’s involvement in kicking off the new school year with a bang. 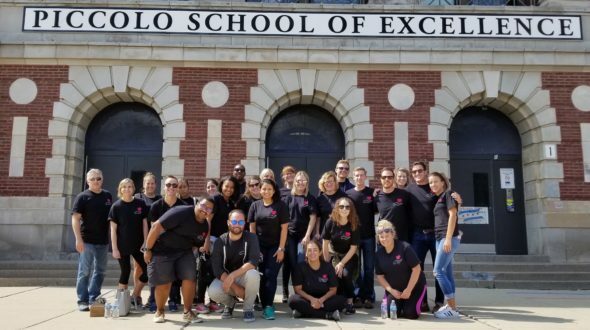 Additionally, Team UI values each school partnership, and the contributions of Jahn, Piccolo, and Nixon faculty, students, and staff for welcoming Team Spark to each school community and hosting a fun-filled day for all. Thank you all for believing in our kids and communities!